Oh man for whatever reason I was a fan of Odalis Perez back during his time with the Dodgers. I think it was probably due to fantasy baseball. I vaguely remember picking him up off the scrap pile a few times and he would always deliver. I don't remember his time in Kansas City at all. According to Wikipedia, he played there for parts of two season. I was also pleased to learn he was an All-Star in 2002. 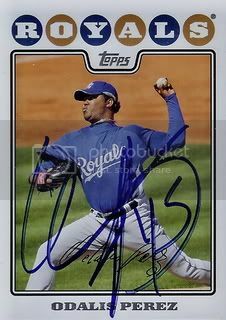 I've had this Daniel Hudson autograph for awhile now. It's from the 2008 Razor Letterman set. I guess there are six of these since there are six letters in his last name. One down, five more to go. I was at Wal-Mart last night with the wife and I felt compelled to buy two more packs of 2012 Topps Archives. 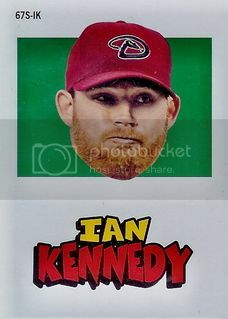 Nothing too great but I did get this Ian Kennedy sticker for our D-Backs collection. 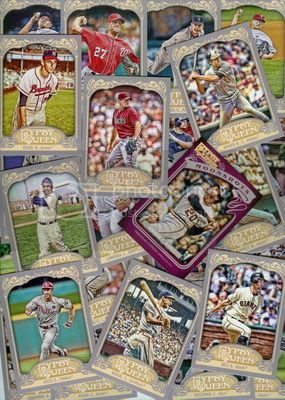 I haven't been very active in the blogosphere or on Twitter lately so I didn't even realize that 2012 Topps Archives started appearing at retail establishments over the weekend. When I did find out this afternoon, I ran straight over to Target. They didn't have any. My next stop was Wal-Mart. This is the same Wal-Mart that had come through for me when Topps Series One was released earlier this year so I was hopeful. They didn't let me down. I picked up two blasters. After opening them, I kind of have mixed feelings about this set. I remember when the "Archives" brand was meant solely for retired players so that's strike one in my book. 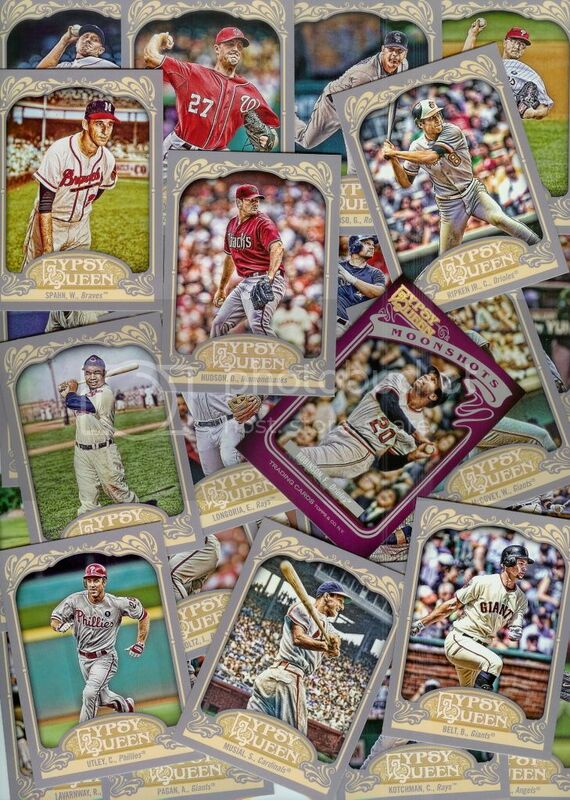 We've seen a lot of these designs recently in the various Heritage sets. Strike two. Instead of striking out, this set hits a bloop single in my book. It's just okay. I had fun opening it and getting the various inserts like the stickers and rainbow foils but nothing knocked my socks off. Sorry I can't come up with a better term than that right now. Below is some of what I got. 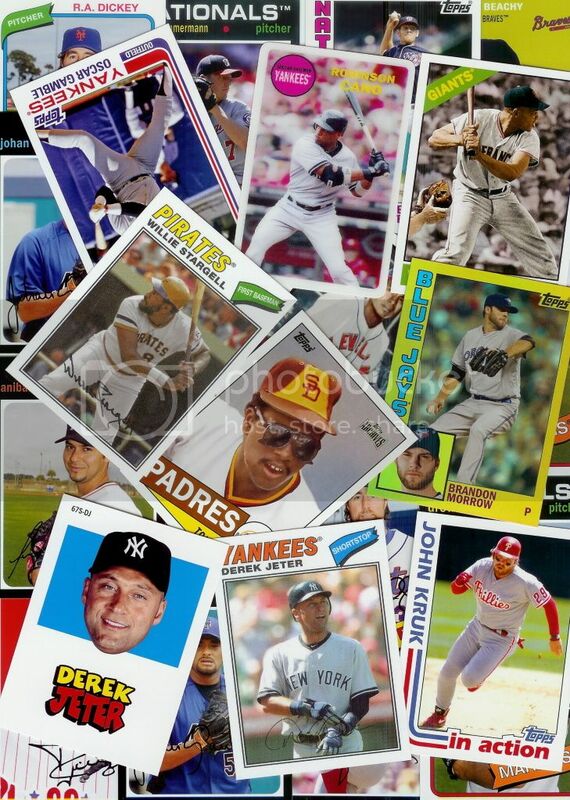 A few D-Backs, a few of my favorite legends like Cal Ripken and Tony Gwynn, and a few of my favorite current guys like Josh Hamilton and Mark Reynolds. 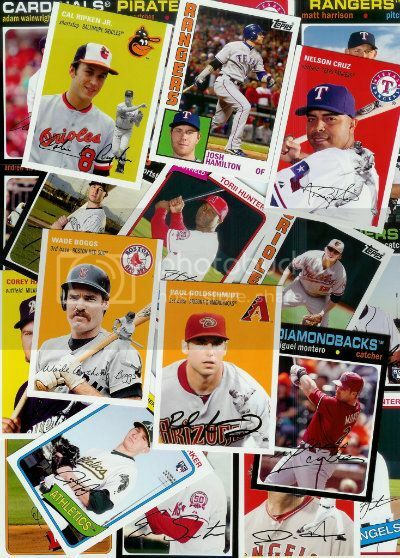 It seems that a few teams used the Topps design as part of the design for their season tickets in 2008. I've known about these for awhile but haven't gone after them. These are officially on the table as part of our 08 Topps collection. If anyone happens to have one or ten of them, I'd be interested. I picked up this one from the Pirates game on April 12, 2008 which features Freddy Sanchez. It's pretty cool. In case you were wondering, the Pirates beat the Reds that day 4-3. 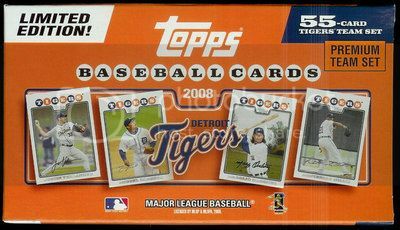 I finally broke down and bought the sixth and final 55 card team gift set that Topps put out in 2008. It's of the Detroit Tigers. A lot of good stuff in here including a Comerica Park card. 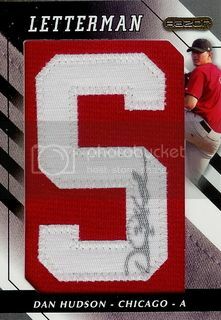 This time I picked up another cheap jersey card from the 2008 Topps retail blasters. 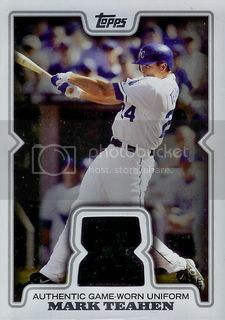 The Mark Teahen card you see below set me back $1.25 with free shipping. 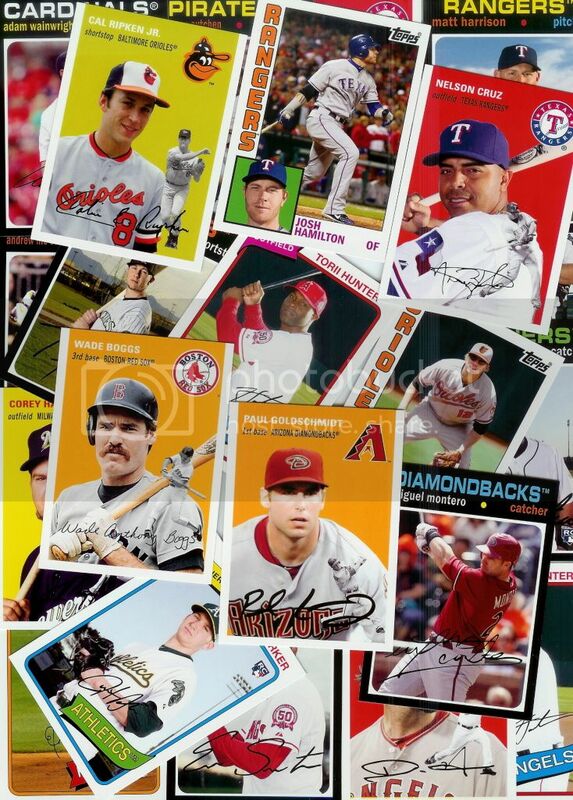 One of my goals this past Spring Training was to try to get a few more gold border parallel cards signed. Here's another one. 2008 American League All-Star and current Texas Rangers closer, Joe Nathan signed a gold border parallel for our collection. 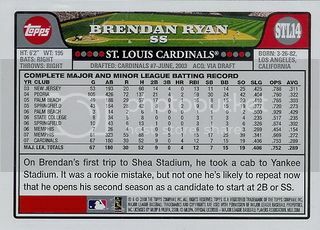 Here's another card Brendan Ryan signed for us. 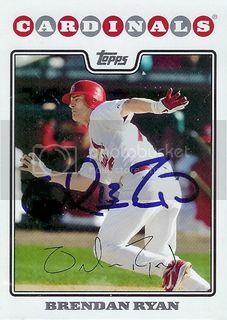 This one is from the 2008 Topps St. Louis Cardinals 14 card team set. The picture is cropped slightly different than his base. Always exciting for me. Oh and yes, I'm still finishing up Spring Training posts. 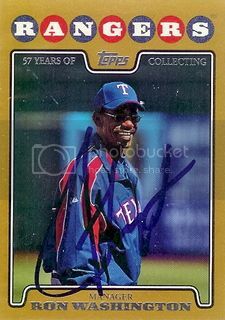 I'm sure Ron Washington is having fun again this year leading the Rangers. They're in first place and have to be the favorites to return to the World Series for a third straight time. If they're able to make it, hopefully this time they can win. Ron signed the gold border parallel version of is 08 Topps manager card for us during Spring Training. Josh Hamilton hit another home run today. It's his 18th of the season. Dude's had an amazing week. Let's hope it continues. 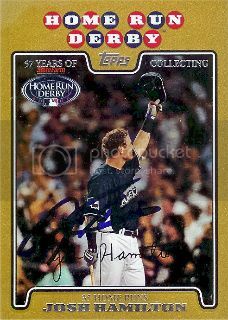 He signed the gold border parallel version of his 2008 Topps Home Run Derby card for us this past Spring Training. 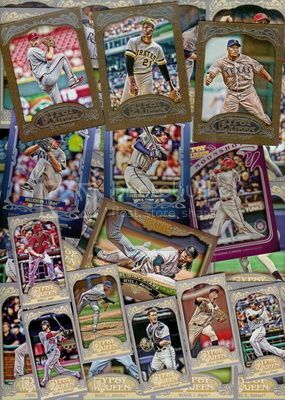 I stopped at Target this afternoon and picked up a rack pack of 2012 Gypsy Queen and a few loose packs. Nothing too exciting but I did get a Daniel Hudson. Score! Everything's available if anyone needs it. The Gooden and Tabata minis are Straight Cut backs and Arencibia is Gypsy Queen back. I need any of the Luis Aparicio minis if you have them. If not that's okay, still let me know what you need. Back in March we picked up our first Daniel Hudson certified auto from the 2012 Topps Tribute set. A few weeks have passed and I'm happy to announce we finally picked up his other one. Sure there's a bunch of low numbered parallels for each of these but for now, these two are good enough.